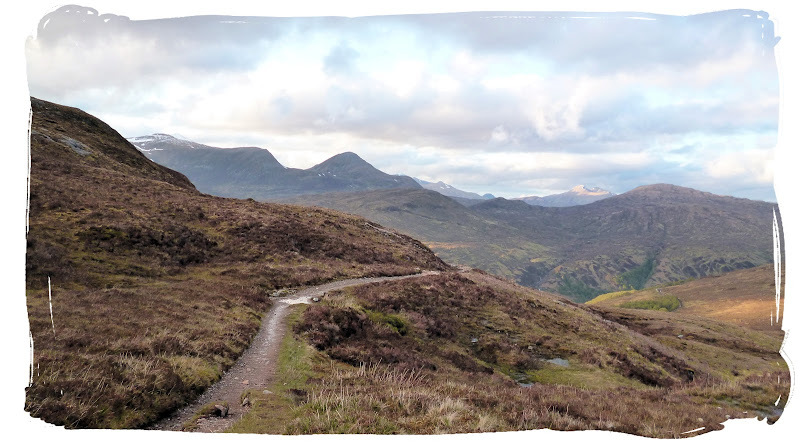 My first solo hike of 2015 began with a repeat of the West Highland Way. 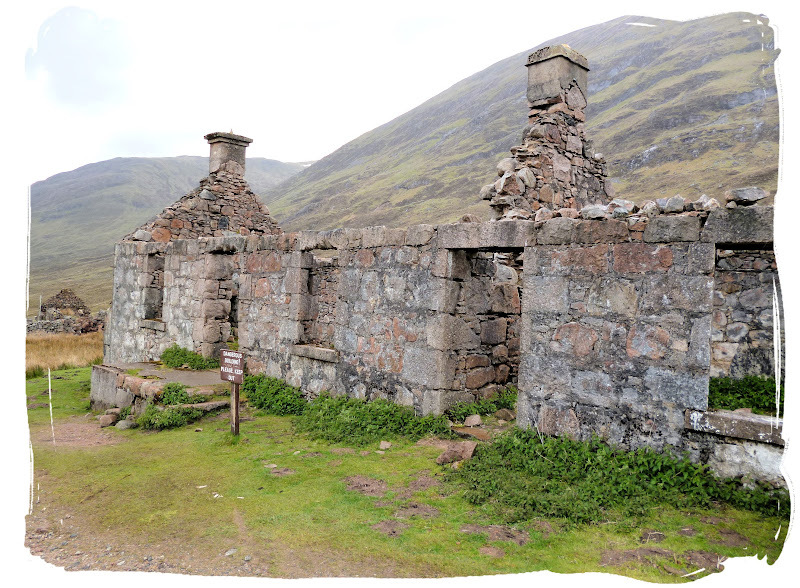 The plan was to complete the route in about 5 or 6 days then continue on the Great Glen Way up to Inverness. Since I've already reported on both of these routes, this report will be quite a brief one, only highlighting anything that was done different. 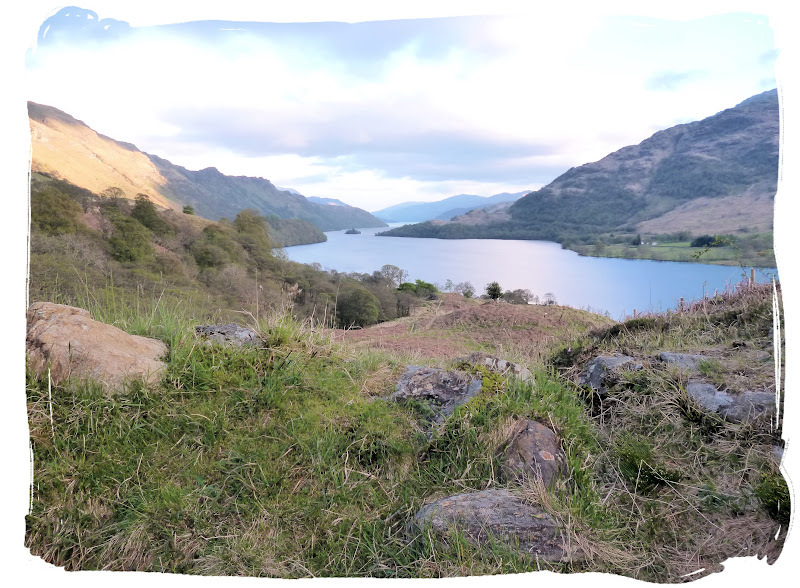 Although it was a solo hike I was lucky enough to have some company for the first two nights as Jay joined me for the stretch from Milngavie to Drymen. 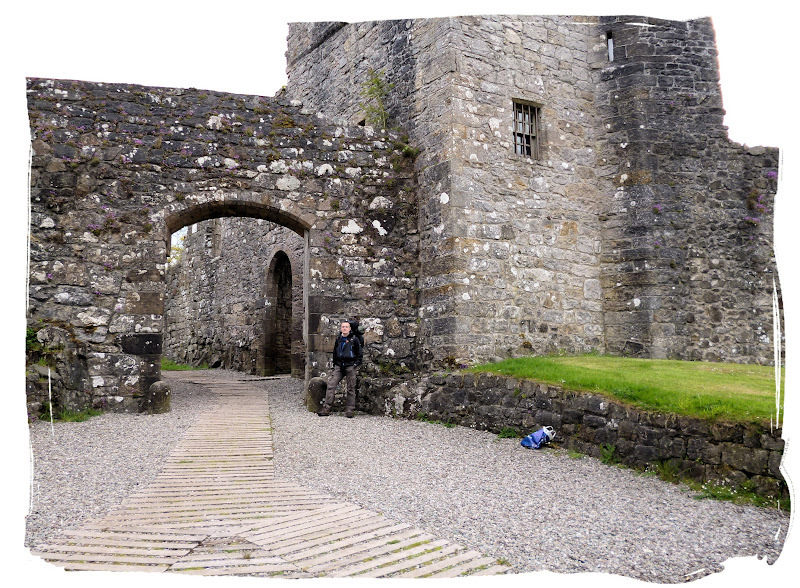 We did things slightly different from the norm, taking a detour over the Campsie Fells via Strathblane village and visiting Mugdock Castle (a route which is described in a book called, "NOT the West Highland Way"). So we met up in Glasgow and went for a quick pint in the city before catching the next train to Milngavie. 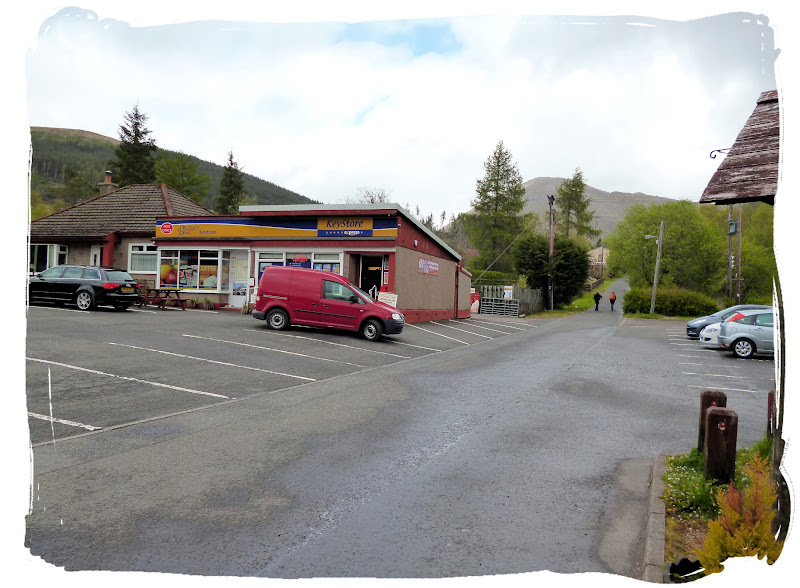 Once at Milngavie our first port of call was Tesco for supplies before the 2 mile walk to Bankell Farm campsite. 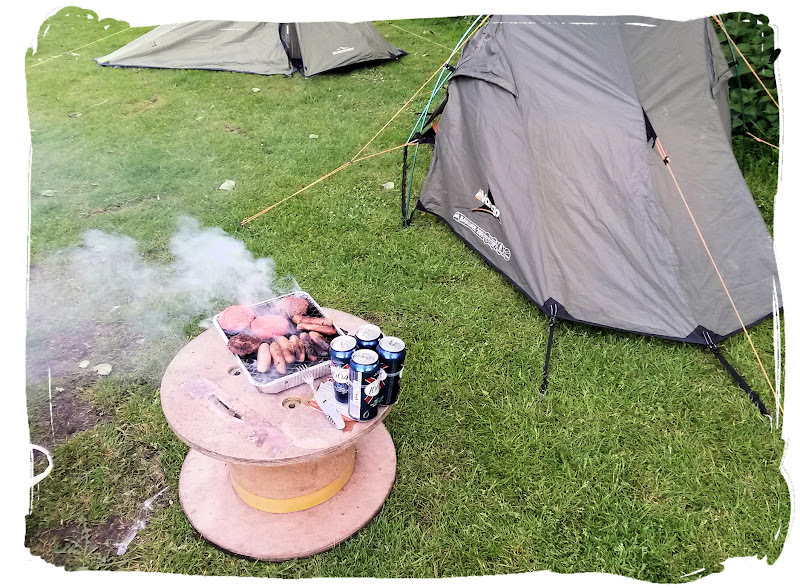 We got pitched up at Bankell about 7:30pm then spent the rest of the evening enjoying the first BBQ of the season, washed down with a few cans, nothing too heavy. 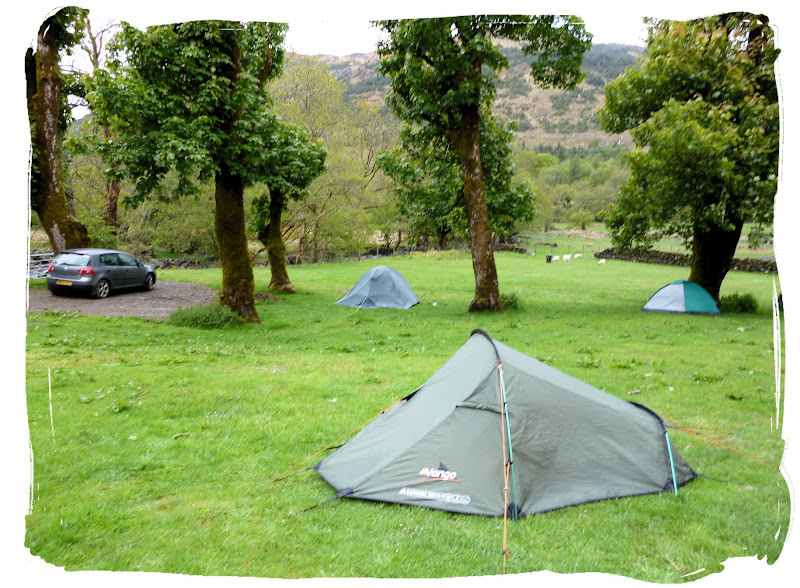 It was a fairly peaceful evening, and quite surprisingly there was only one other tent. It stayed dry for us but it was quite chilly for a so-called summer evening. 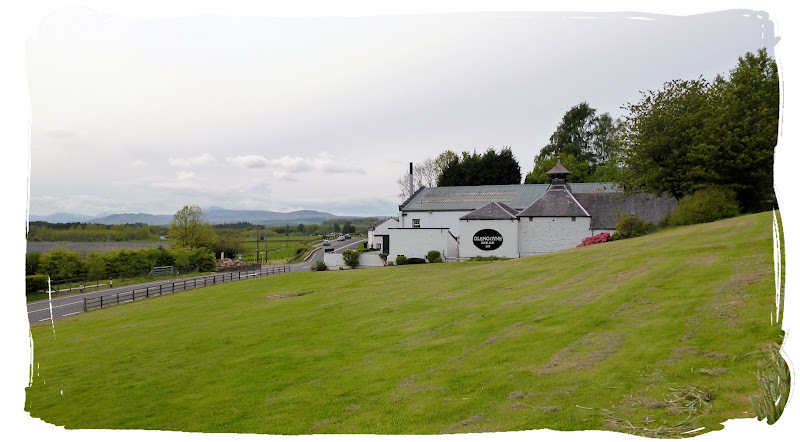 After a quick Costa Forune, we set off from Milgavie through Mugdock Country Park, visiting Mugdock Castle and Strathblane village, taking a rather long detour over the Campsie Fells to eventually rejoin the WHW at Dumgoyne distillery. 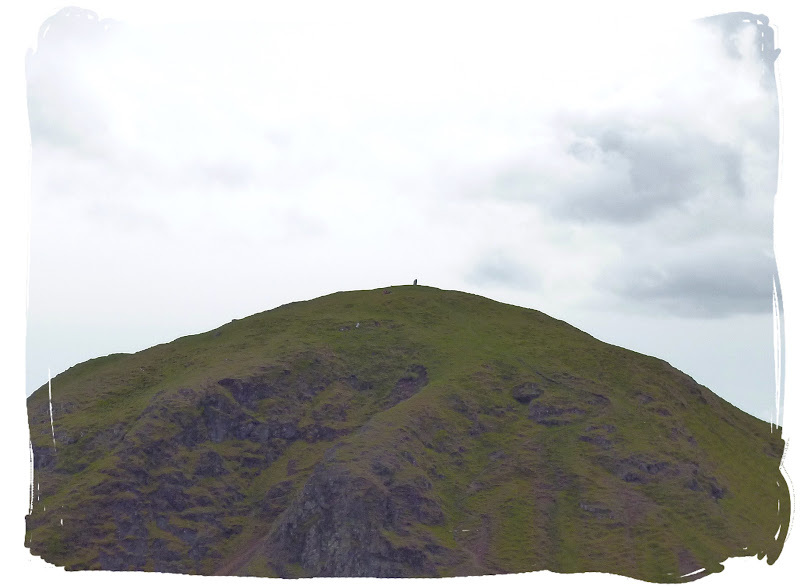 We made it to the highest point, Earl's Seat, before getting slightly lost on the way back down while trying to avoid Dumgoyne Hill but that's another story best saved for a rainy day! 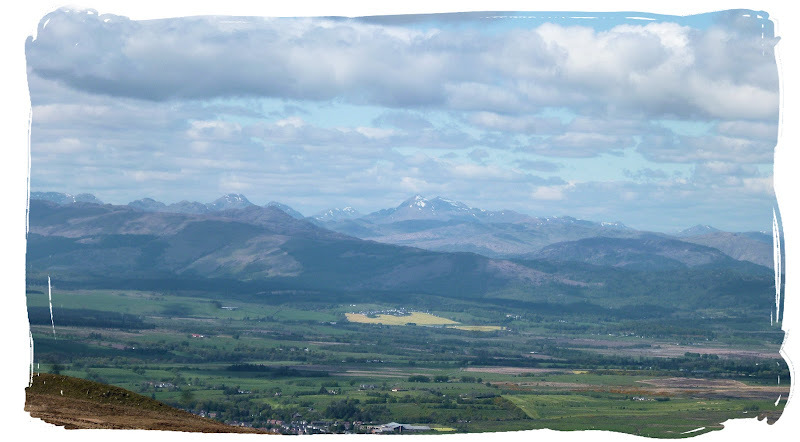 There were some amazing views throughout the day, looking behind we could see Glasgow with its Red Road skyscrapers dominating the skyline, looking North-East we could see the peaks of the Cairngorm mountains and ahead (North-West), the bonny banks of Loch Lomond at Balmaha as if it was just around the corner. 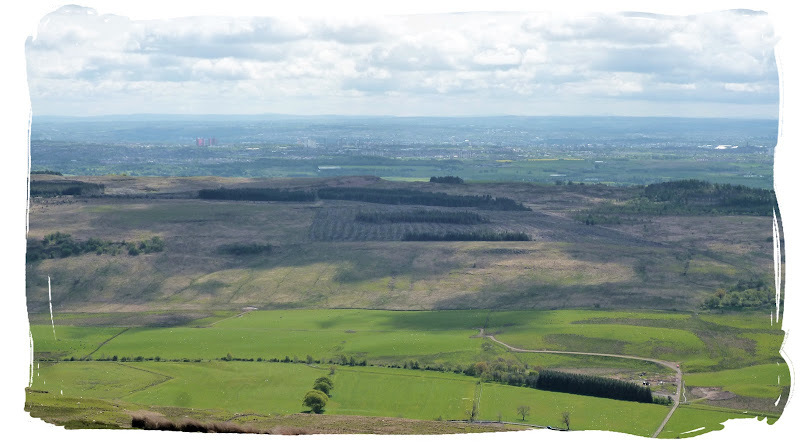 These hills just get in the way! 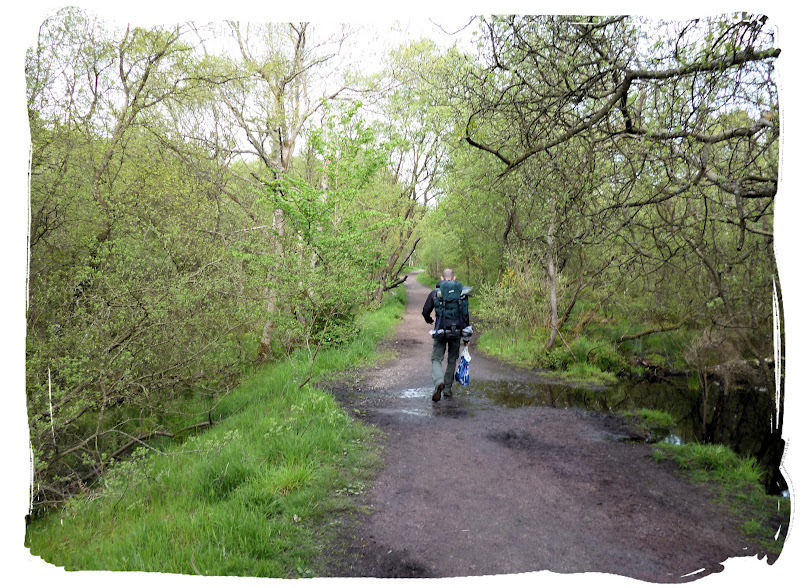 Once back on the West Highland Way, slightly later than intended we made our way to Drymen (about another 7 miles). 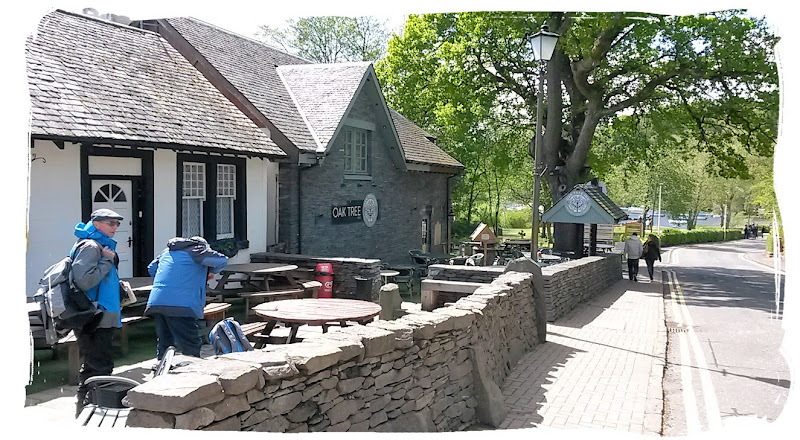 We were pitched up at Drymen Camping, Easter Drumquhassle Farm by about half past 8 and then nipped into Drymen village for a well earned, Saturday night Pint (or two). 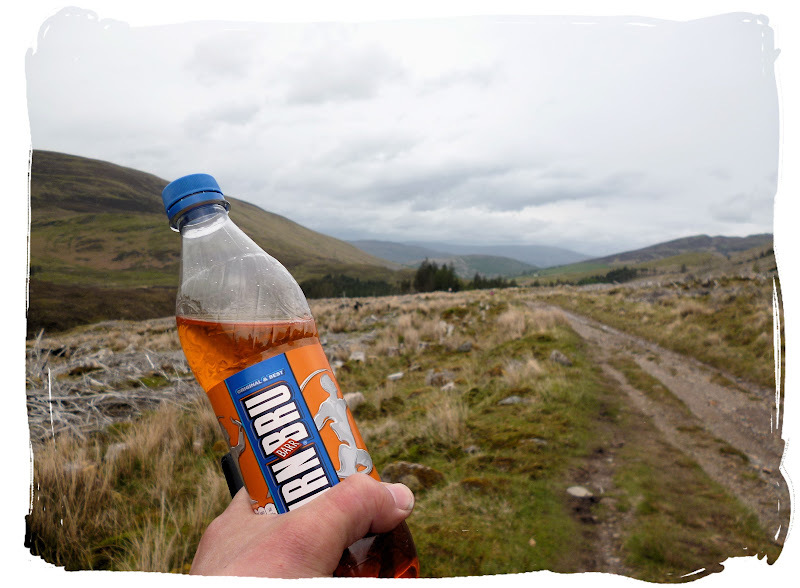 In the morning, after another stroll into Drymen village I bid farewell to my companion as he caught the bus back to Glasgow. 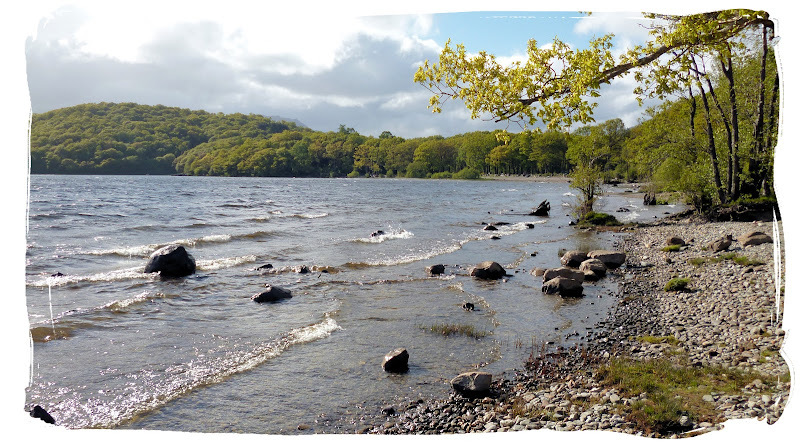 I grabbed a few supplies from the Spar store then set off solo, heading for Loch Lomond. 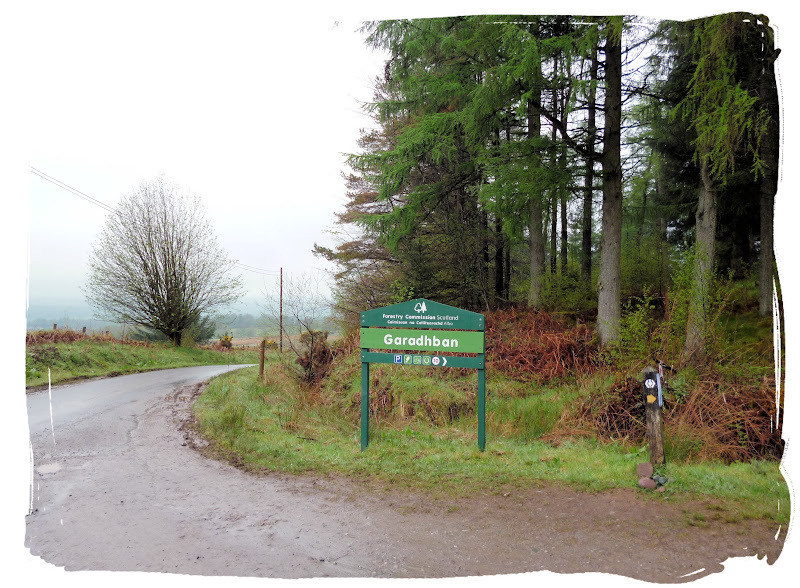 I passed through the (so-called) Garadhban forest and soon climbed over a very wintery Conic Hill to arrive at Balmaha by Loch Lomond at about half past 2. 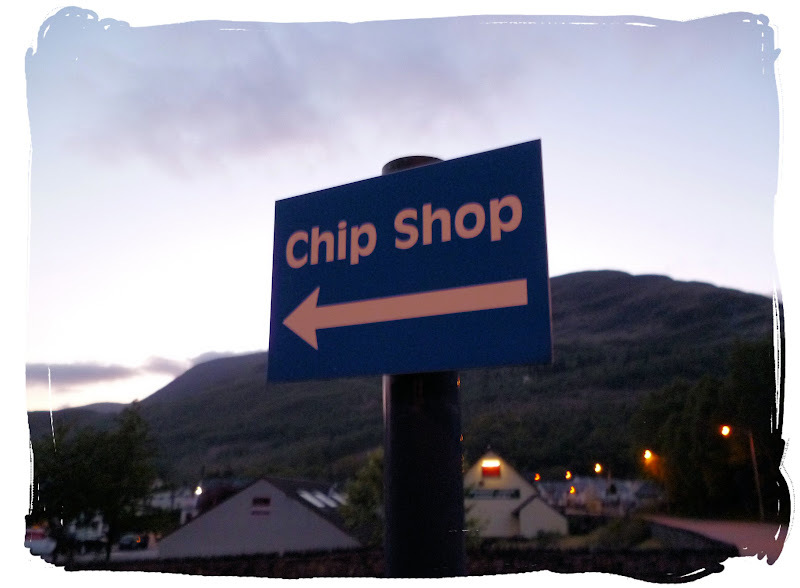 I sat down for a quick snack stop outside the village shop as the big, round, shiny thing in the sky made an appearance (a rare occasion). 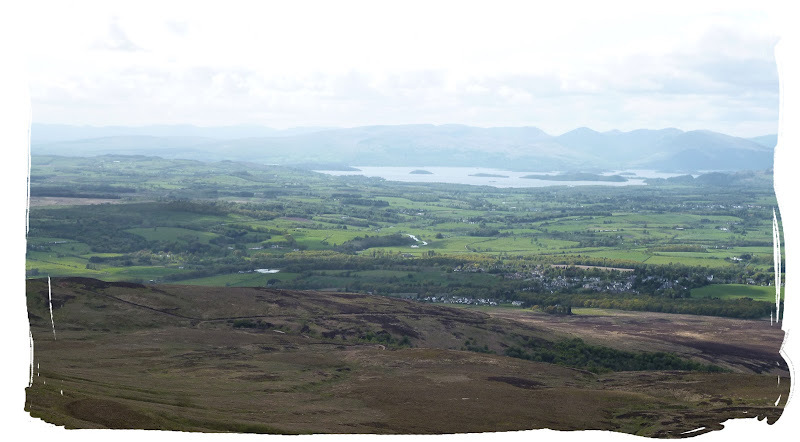 Panoramic view, descending from Conic Hill. 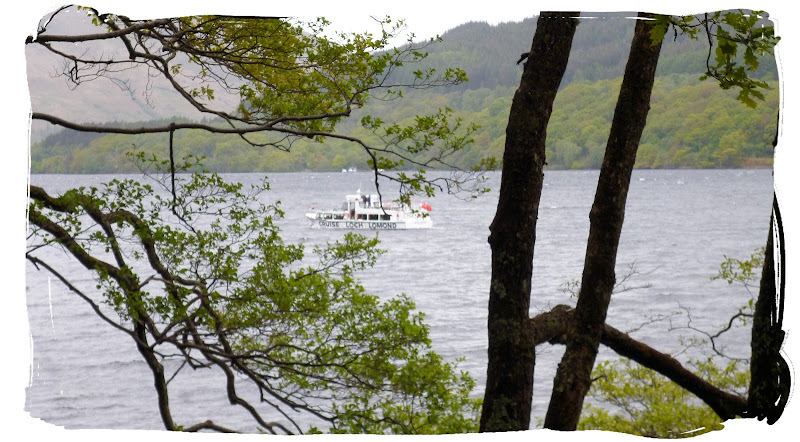 I plodded on past Balmaha pier, following the Loch Lomond shoreline to eventually reach Sallochy Bay campsite about 5:30pm. It stayed mostly dry except for one heavy shower. 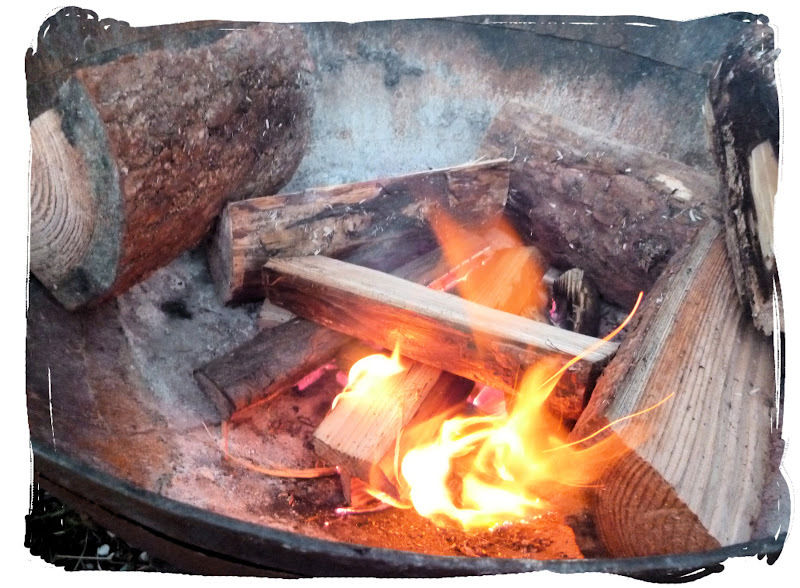 I enjoyed my usual fire and tunes by the lochisde as I watched the sun go down. 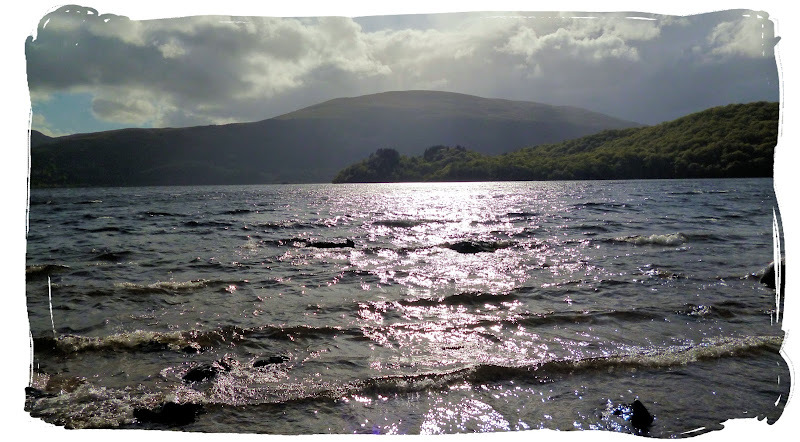 I made my way along the lochside, passing through Rowardennan and Inversnaid to eventually reach Beinglass Farm campsite at Inverarnan. 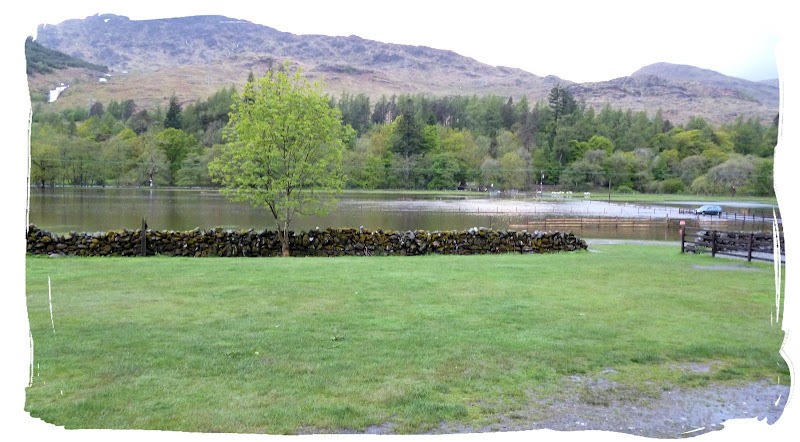 I stopped for a break at Inversnaid Hotel as the rain came on heavy. 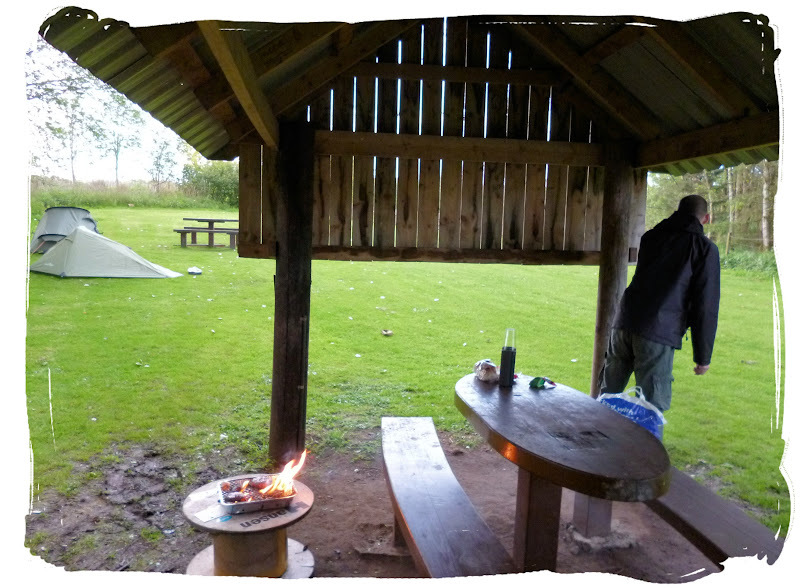 I arrived (rather wet) at Beinglass Farm at about quarter to 9 to find the river had burst its banks, luckily the campsite was still there. 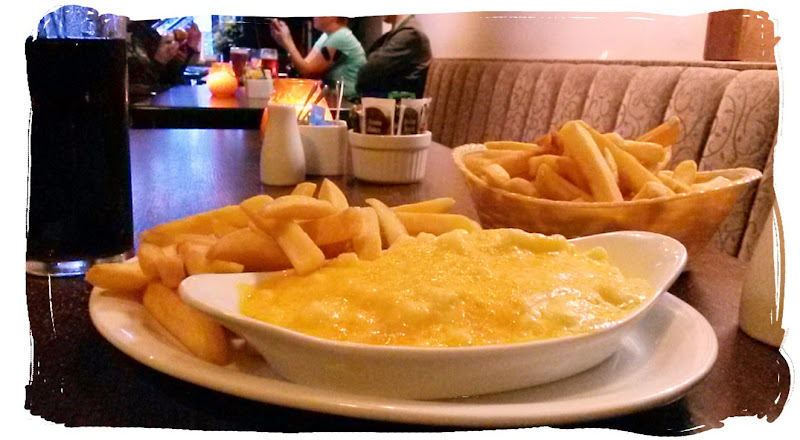 I got pitched up, as high as I could before wandering into the bar for a well earned meal before bedtime. 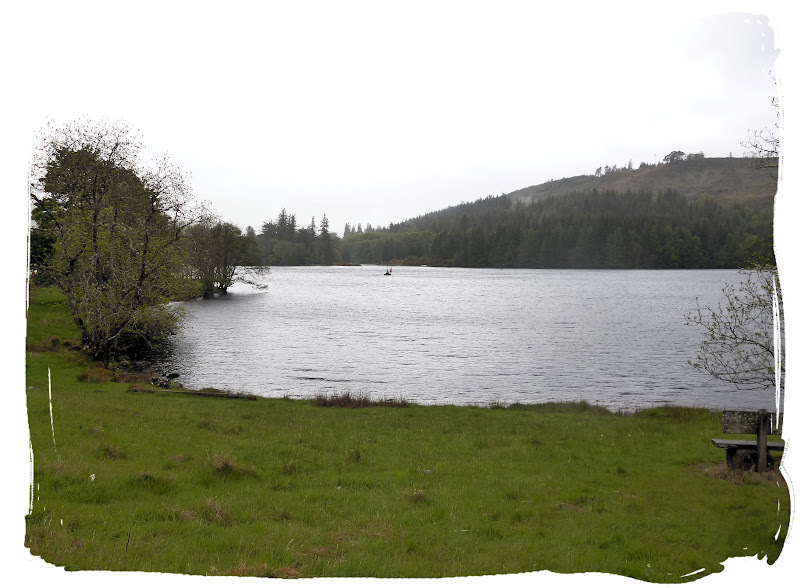 It rained for pretty much the whole day as I dragged my feet 12 miles to Tyndrum. 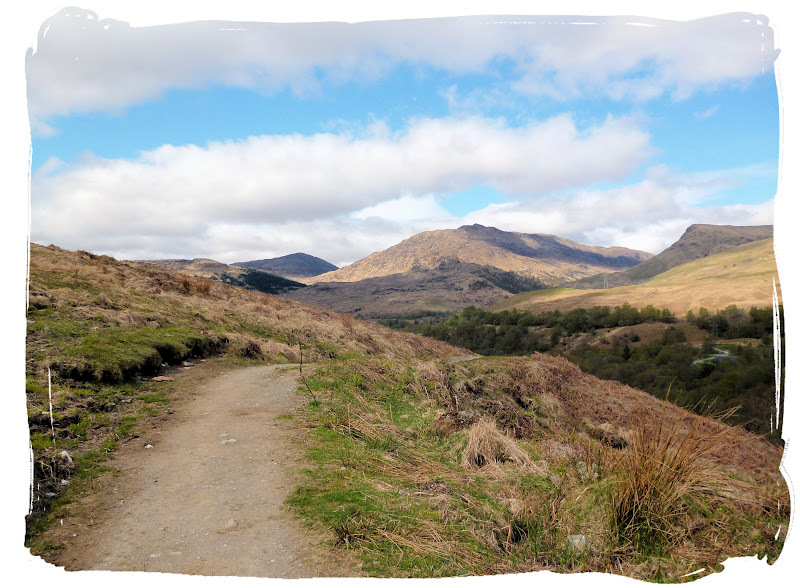 Heading away from Tyndrum as the views open up (2013). 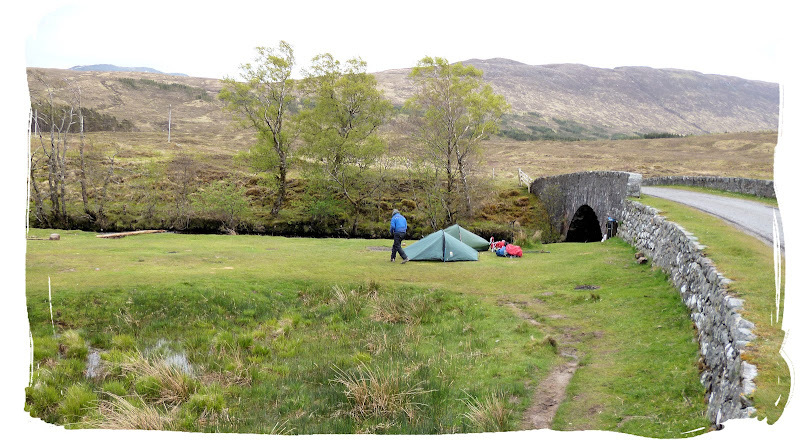 The original plan was to carry on past Tyndrum for a wild camp at either Bridge of Orchy or Inveroran (an extra 7/9 miles) but due to the continuous rain and the easy use of a campsite at Tyndrum, I settled for the easy way out. A miracle had happened and the rain had finally stopped!! 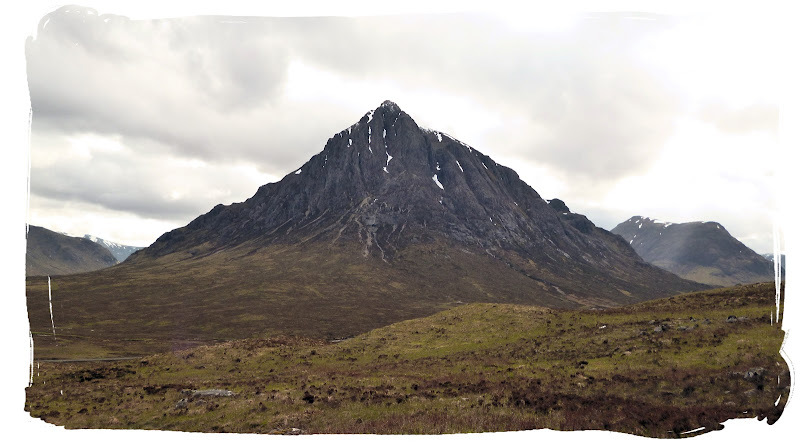 The plan was to reach Kingshouse and possibly go on to Kinlochleven depending on the time I arrived at Kingshouse, it would also depend on the weather too. 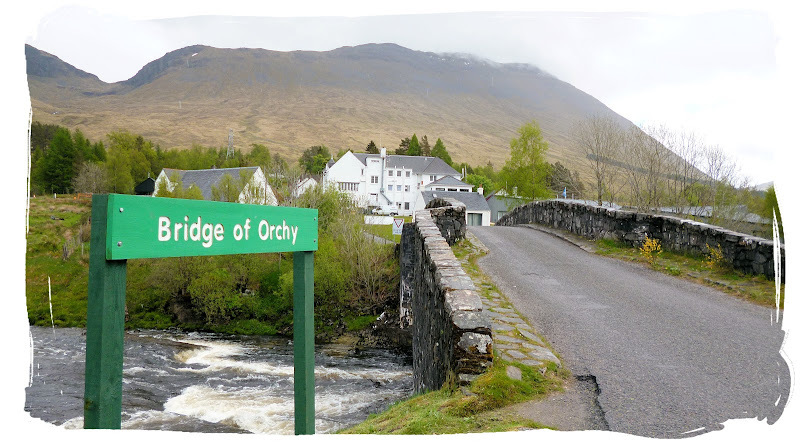 Passing through Bridge of Orchy, where I had hoped to wild-camp the previous night. 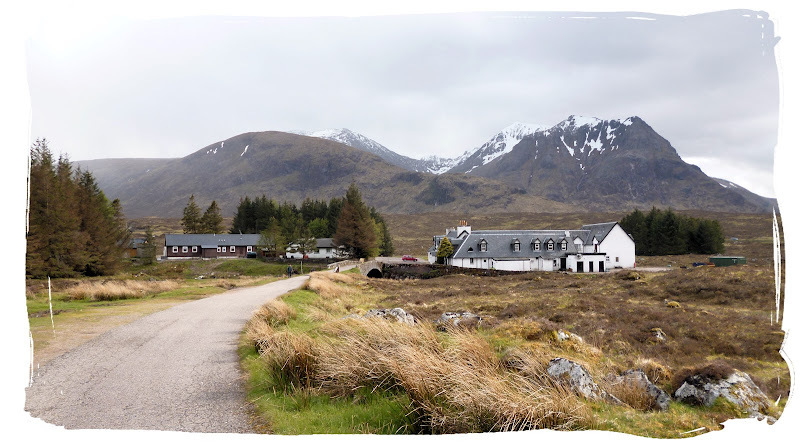 I arrived at Kingshouse just after 5pm and went into the hotel for a quick cuppa while I made up my mind what I was going to do next. 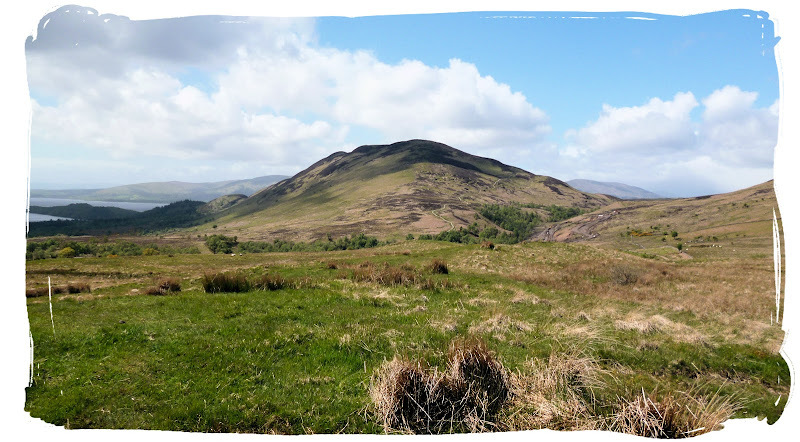 I saw a few familiar faces inside who I had previously spoken to on my travels, a German family who had been camping back at Drymen and two dutch lads who I had spoken to at Tyndrum. 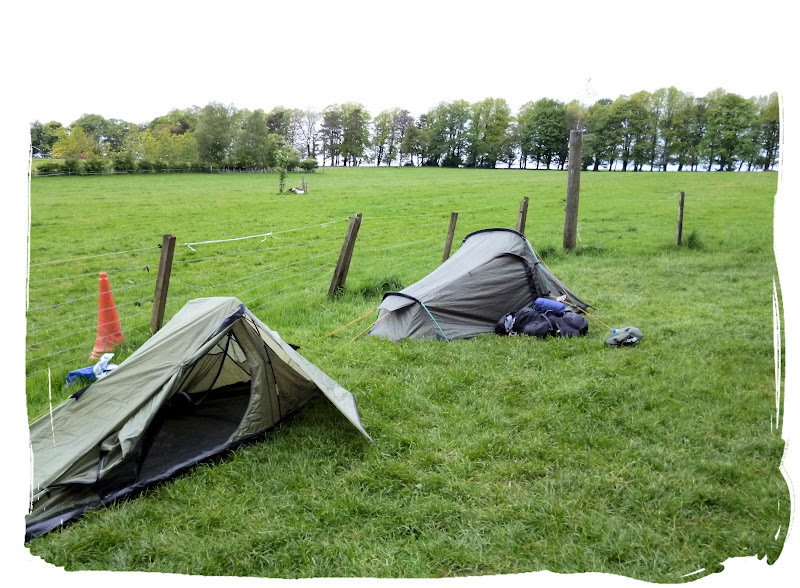 I had a quick chat with the German family, they had finished their walking for the day and were pitched up out the back. 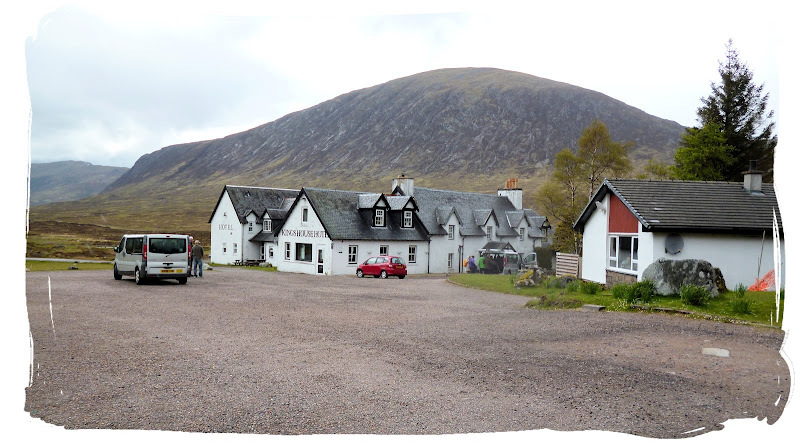 Kingshouse Hotel, Glencoe. Was hoping to see the Deers but they weren't about. 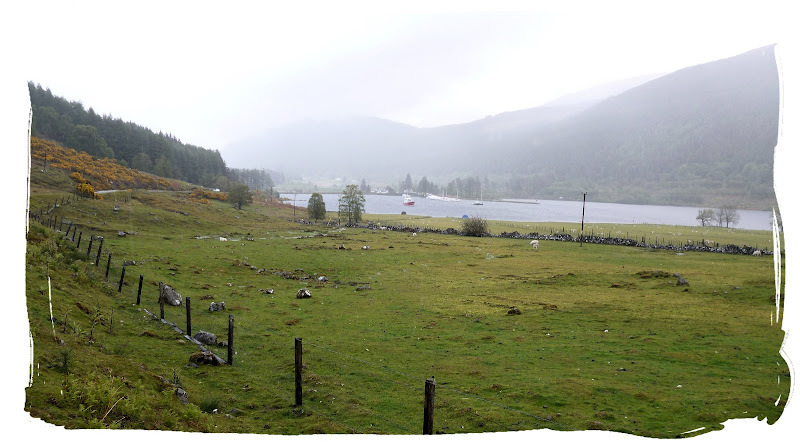 It was still dry outside but rain was forecast for the following morning and for much of the day. 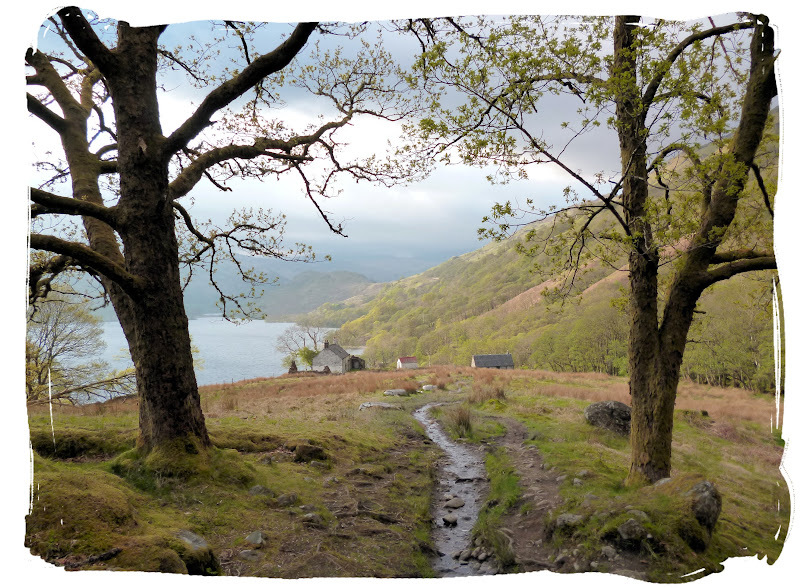 I didn't want to be climbing the Devils Staircase in the rain so down went my Coffee, rucksack back over my sholders and onwards I went to tackle Devil's staircase. 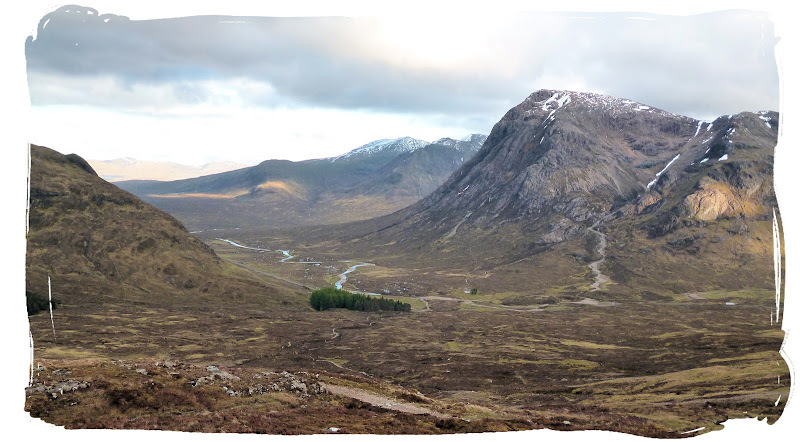 Looking back on Kingshouse as I carry on towards Kinlochleven. 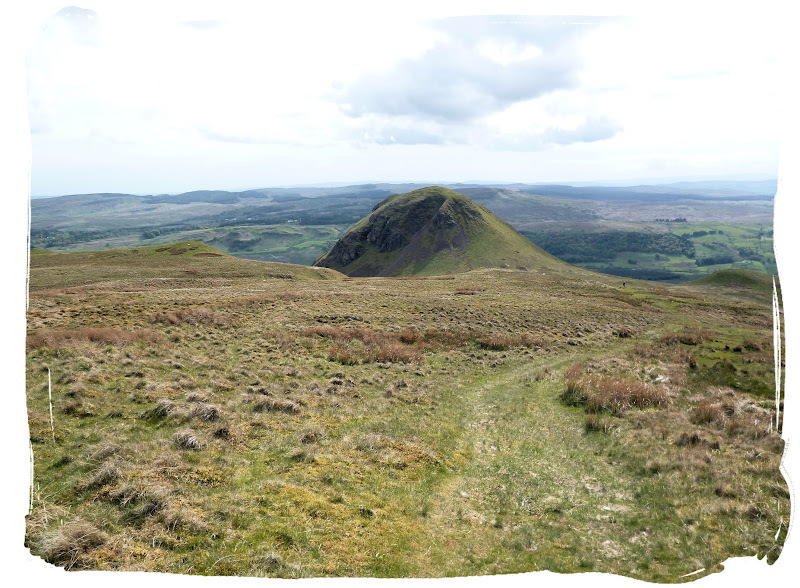 Panoramic shot as I begin to ascend Devils Staircase. 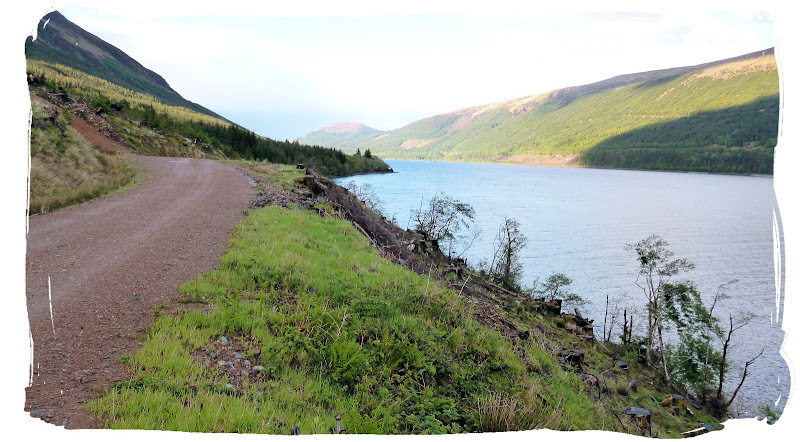 8pm, pressing on to Kinlochleven, soon to descend, not a soul in sight. 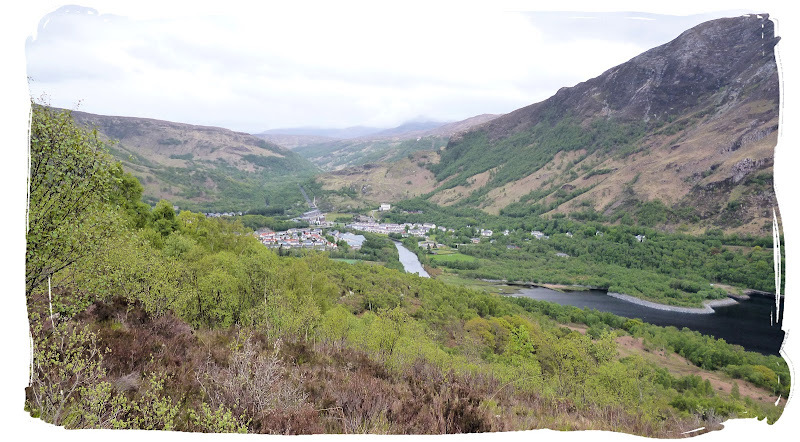 I eventually descended into Kinlochleven (absolutely shattered!) at about 9:30pm. 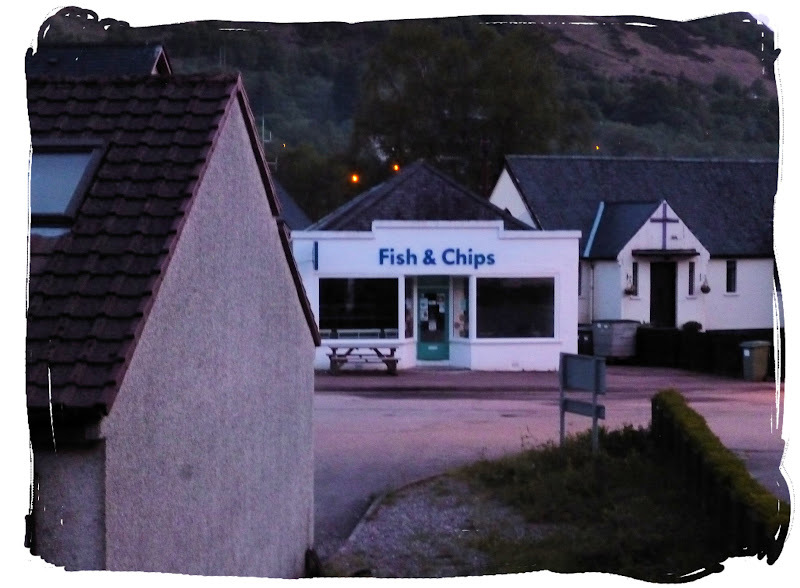 I pitched up at Blackwater hostel then went a walk into the village hoping to get some hot food or at least some tasty munchies but much to my dismay the chippy was closed and so was the Co-op!! Outrageous!! ... and so I had to make do with my Snack Stop Mug Shot I'd carried all the way from Poundland. 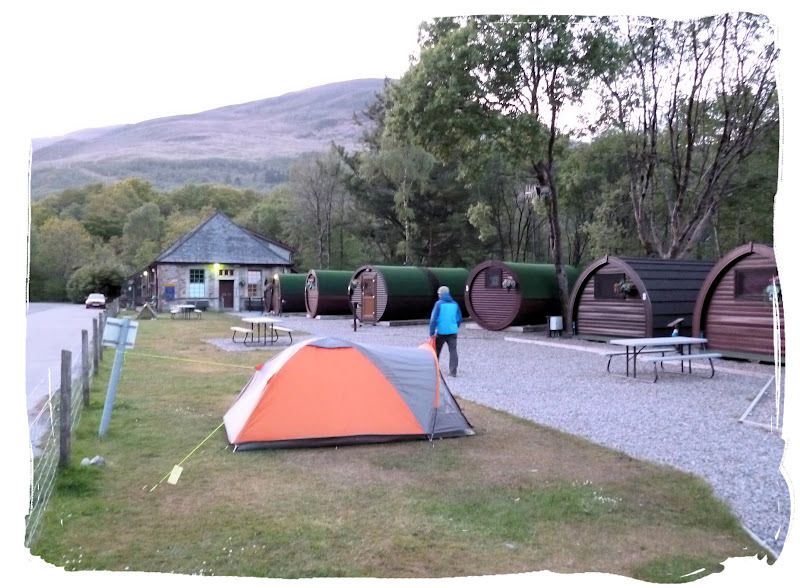 Pitched up at Blackwater Hostel, Kinlochleven after a very long day! 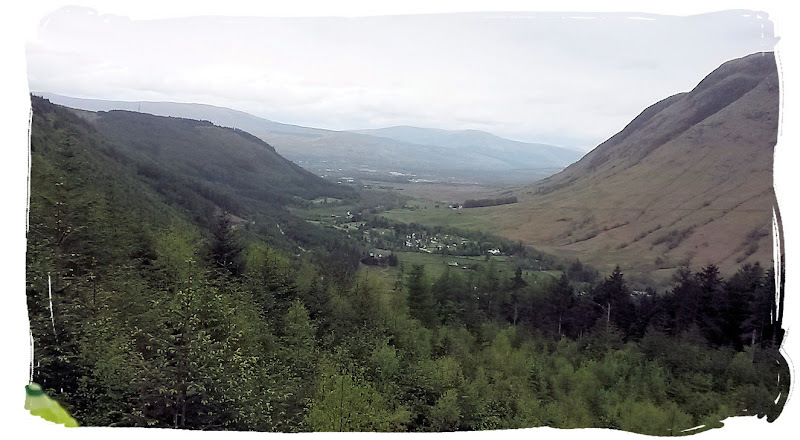 The final stretch of the WHW up to Fort William was fairly straight forward, following an old landrover track most of the way to descend through the deforested Glen Nevis forest. Is a bit of a mess there now. 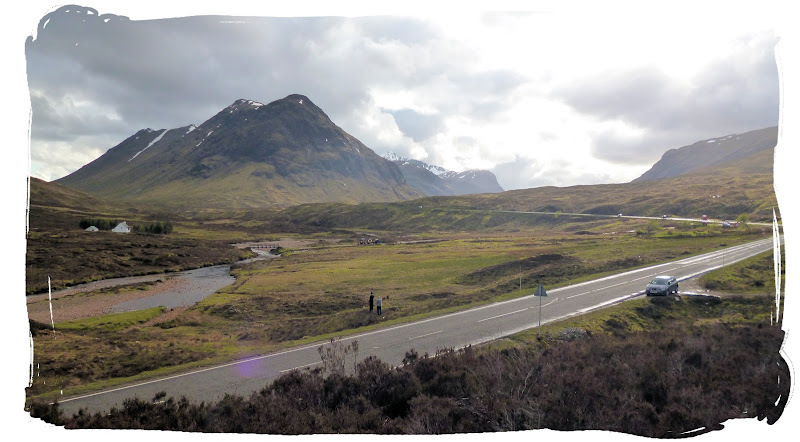 I bumped into a Canadian couple, Bruce and his wife who I had previously spoken to on Walkhighlands regarding walking routes in Scotland. 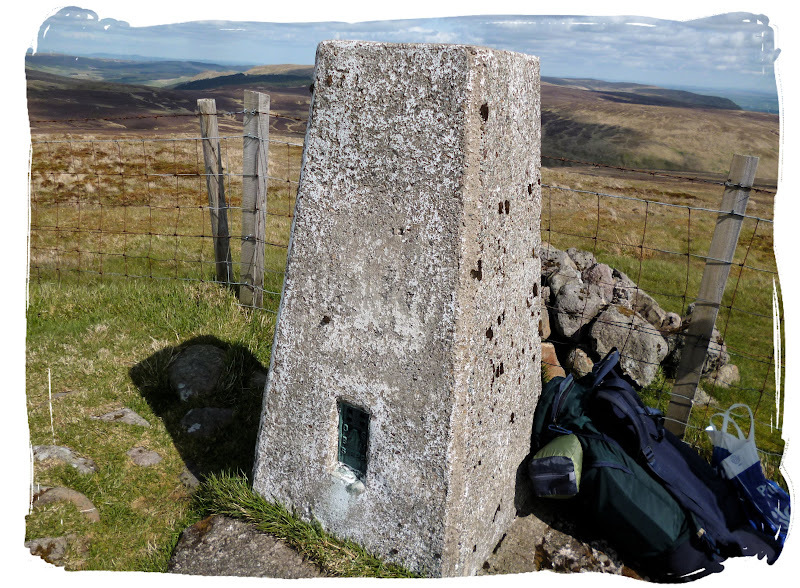 I had expected to see him at some point as we had arranged to walk the WHW at the same time, he had been a day ahead of me but I managed to catch up due to my extreme 28 mile walking binge the previous day. I walked with him and his wife for about an hour before shooting on like there was no tomorrow. 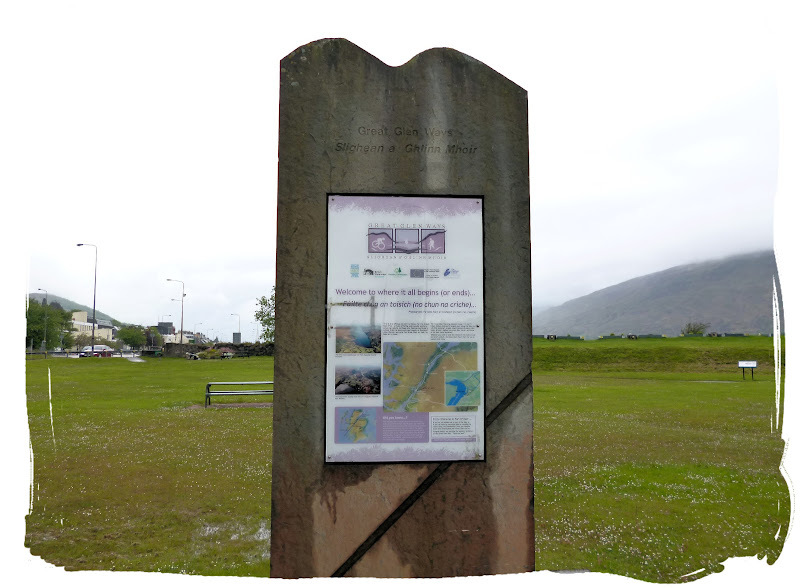 There was the odd rain shower throughout the day which became more frequent as I approached Fort William. 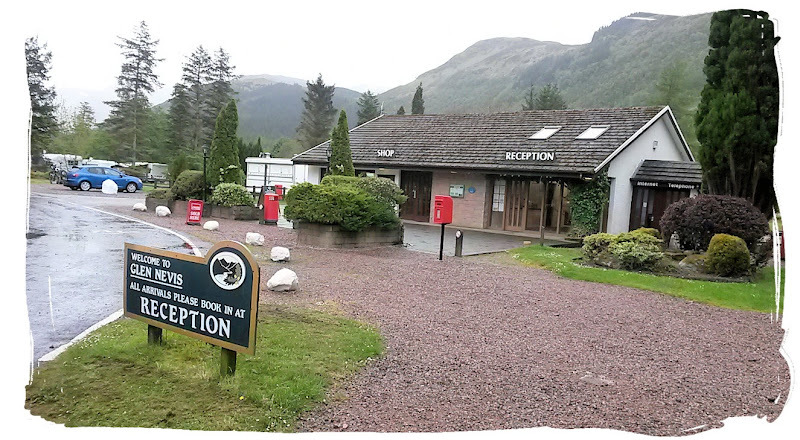 I arrived at Glen Nevis campsite at about 3:30pm and pitched up in heavy rain before making my way to the bar. 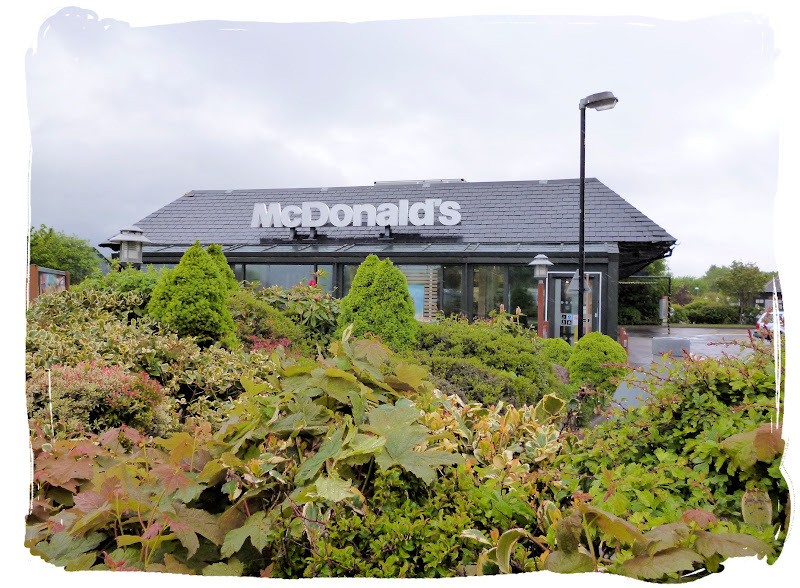 I once again bumped into Bruce and his wife who were in having a meal so I stuck around for pint with them, then said my Goodbyes before taking a walk into the town for a McDonalds (why did I do that????). I woke up to some more miserable weather after a whole night of rain!! 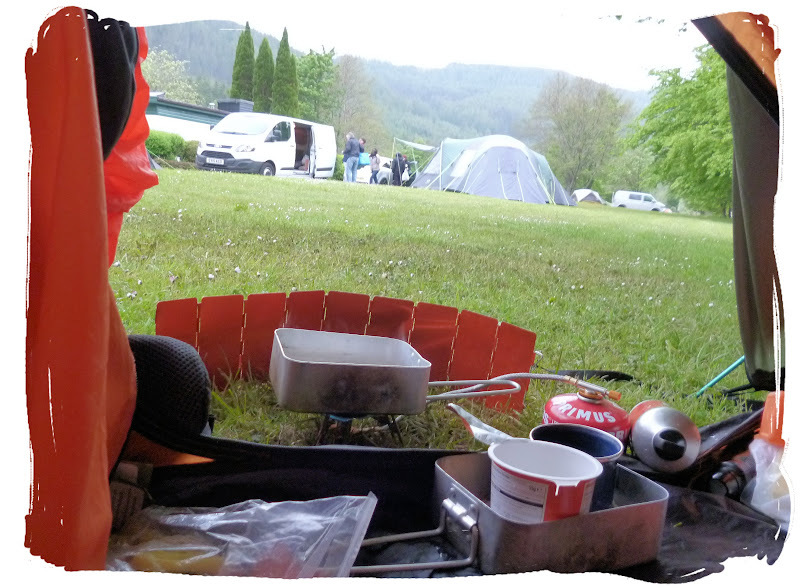 I had some quick brekky in the tent while I waited for the rain to disappear but that just wasn't happening anytime soon, so off I went. 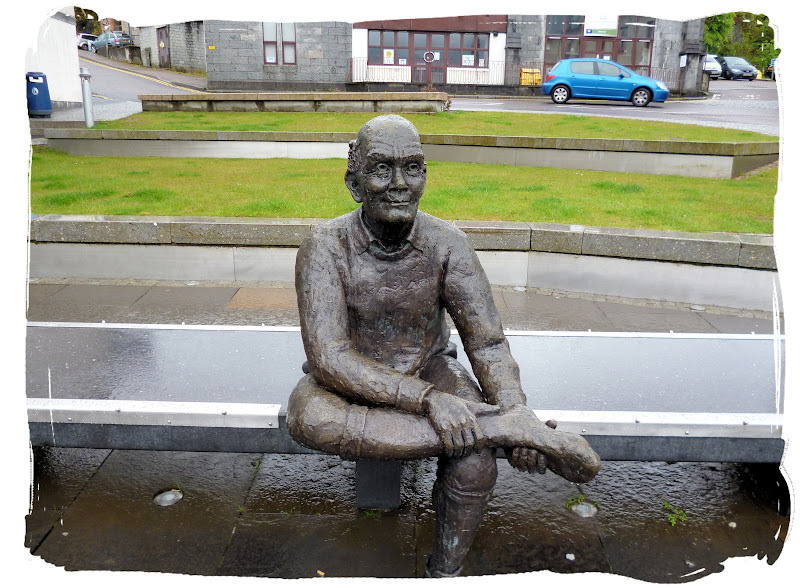 I made my way into the town for a quick Selfie with the man himself before starting on the Great Glen Way about 11.30am. 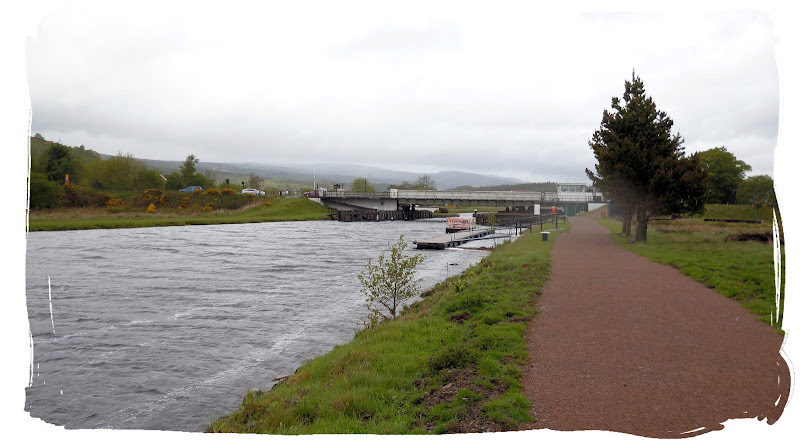 The plan was to make it all the way to Inverness (not on the same day). The man himself... whoever he is! I got some right strange looks taking this one! 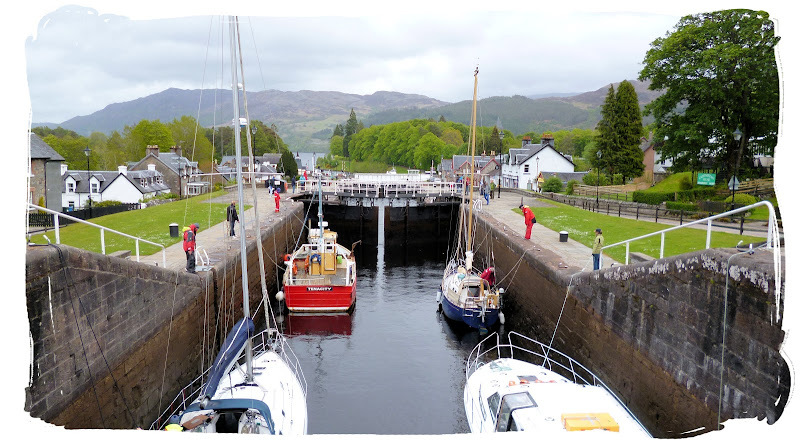 I head off on the Great Glen Way, my second time walking from Fort William to Fort Augustus. 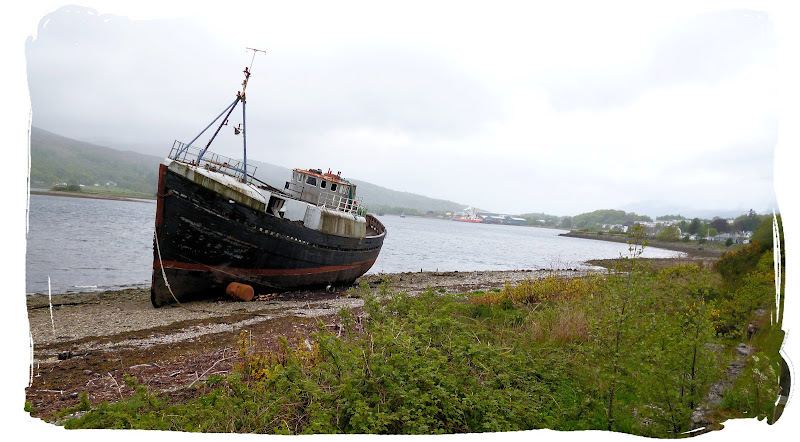 Such a wet, miserable day... even the fishermen gave up! 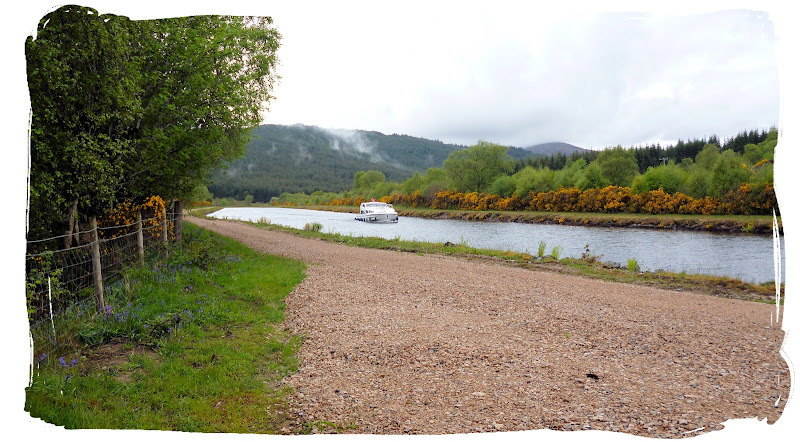 I made my way along the Caledonian Canal as the weather began to improve, soon passing through Gairlochy and along Loch Lochy, passing Clunes forest. 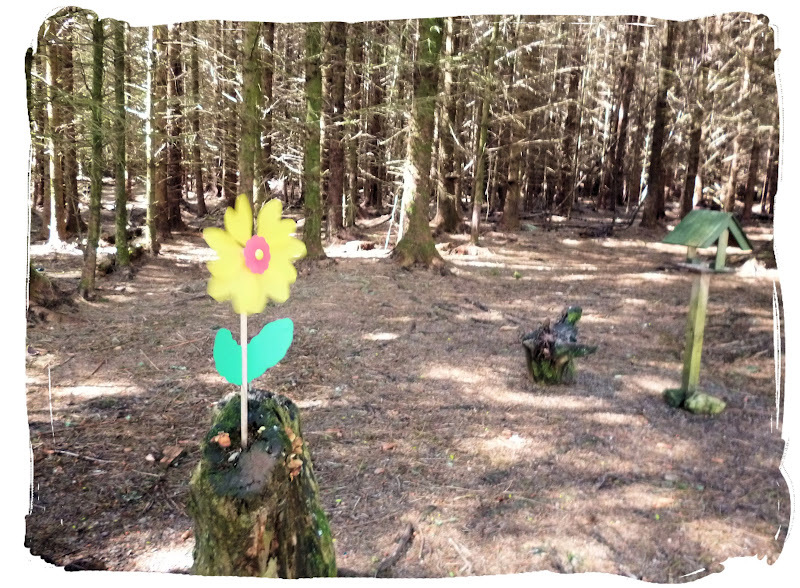 I was saddened to find that the Fairy Forest heading out of Gairlochy has now been cleared of its decorations. 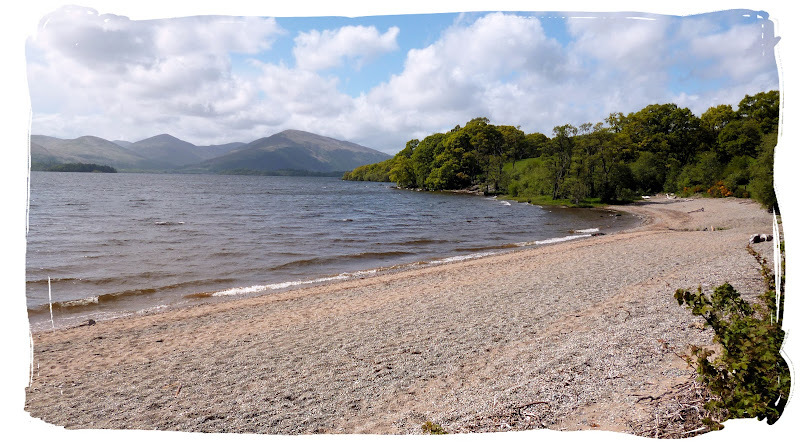 Several rain showers later i eventually arrived at my destination about 7:30pm, a neat little wild camping area located beside Loch Lochy, about 2.5 miles from South Laggan. The rain held off for a while with just the odd light shower but it didn't matter too much as I had a wee shelter on my campsite. it was a relaxing evening and much to my delight nobody else showed up! 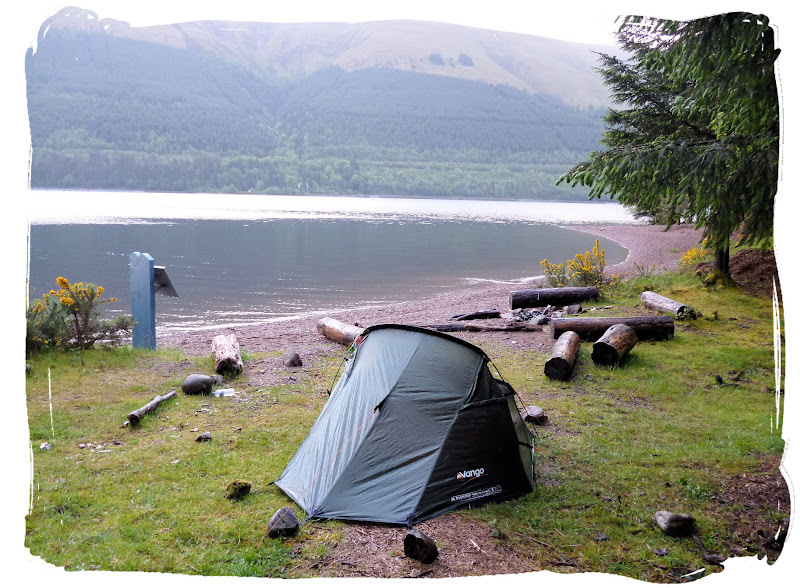 Pitched up by Loch Lochy, a grand wee spot. 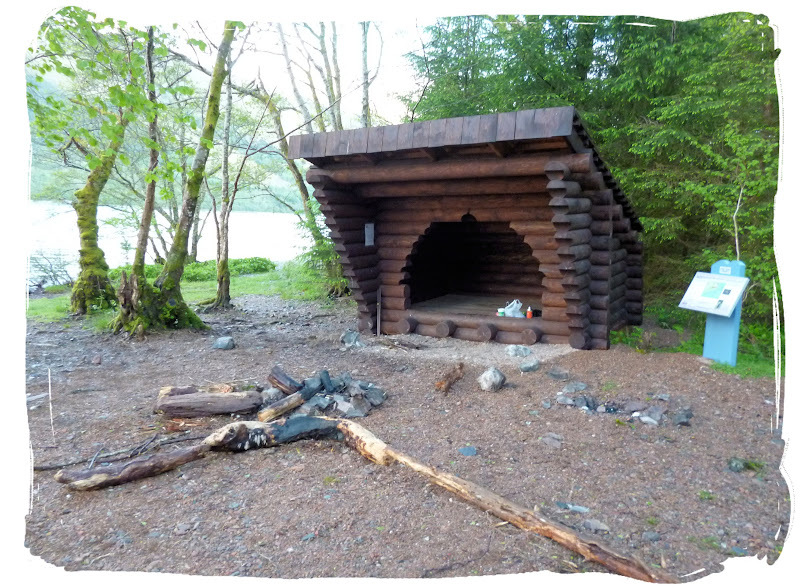 The Shelter, very handy, there should be more of these dotted about! 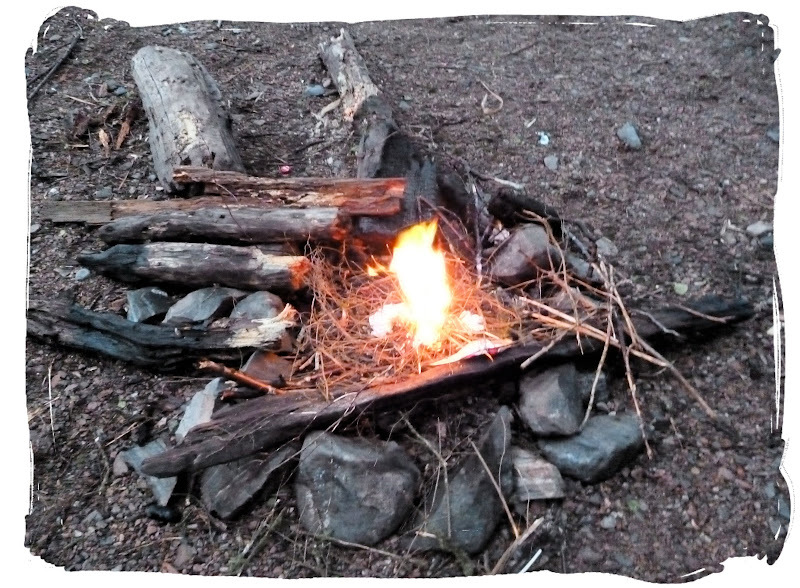 I attempted to get the fire going after collecting driftwood and other logs that were lying about but it was too damp. 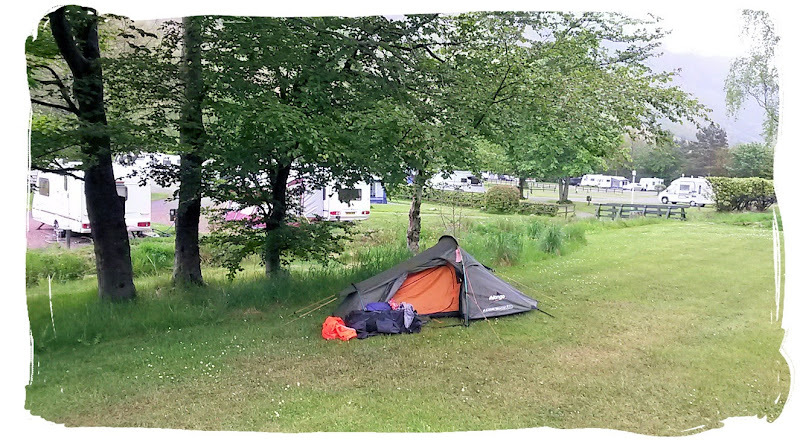 I lounged about for a while until it got dark then retired to the tent as the rain returned. 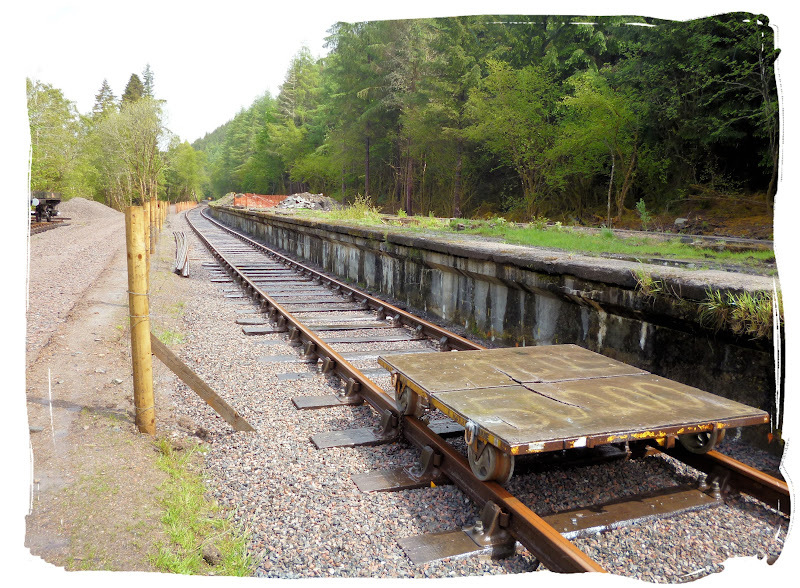 I passed Invergarry railway project, a few changes here since the last time I passed this way as they are currently restoring a section of the old railway line and bulding a new station to accommodate a Railway Museum. 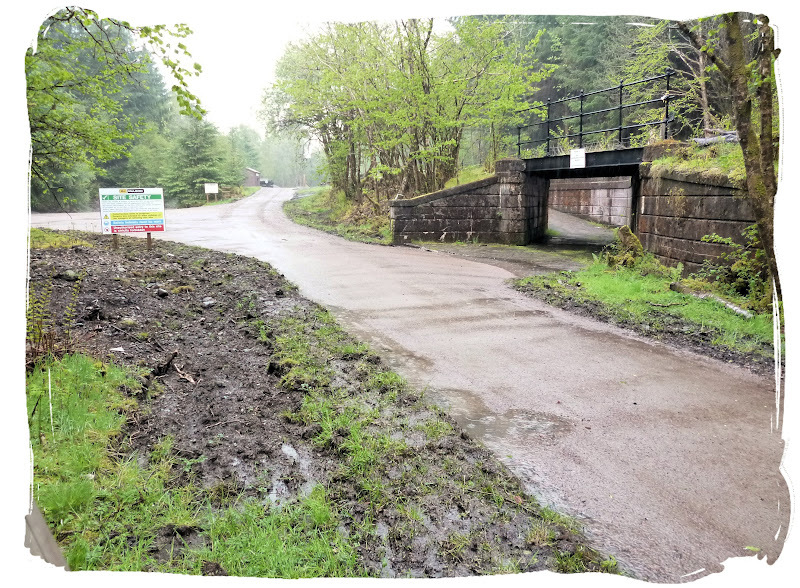 The Great Glen Way path used to be on a good section of the old line so I am not sure how they are going to re-route the path once the line is back in use. I am interested to visit again once it's finished though. 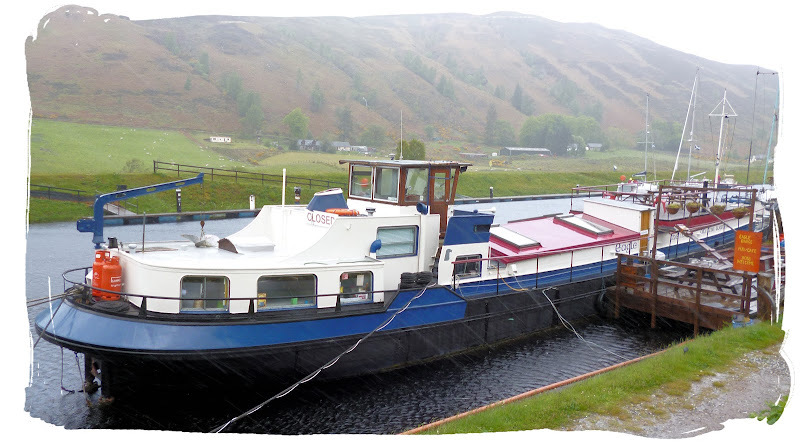 I arrived in Fort Augustus at about 3:45pm and decided I'd had enough (of the rain mainly). It was time to go home. 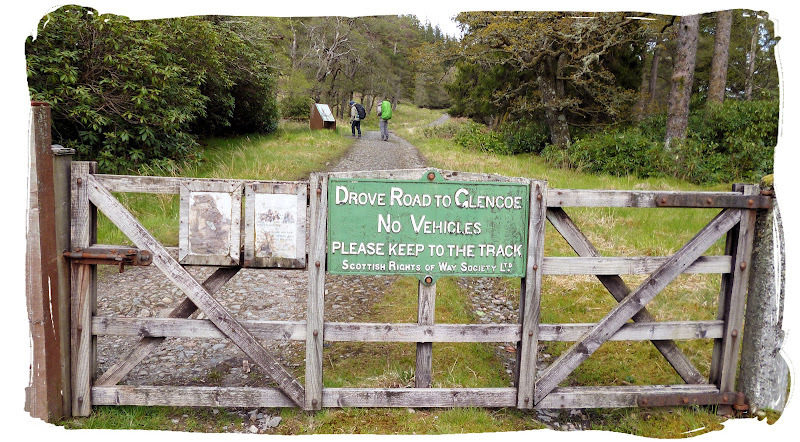 I wasn't too fussed about completing the next sections of the Great Glen Way anyway as I'd already done them twice before. So I caught the next bus up to Inverness and then another bus back over to the North East and arrived back in Aberdeen in plenty of time to order Pizza. Last edited by andrewl7642 on Wed Feb 01, 2017 3:55 pm, edited 4 times in total. 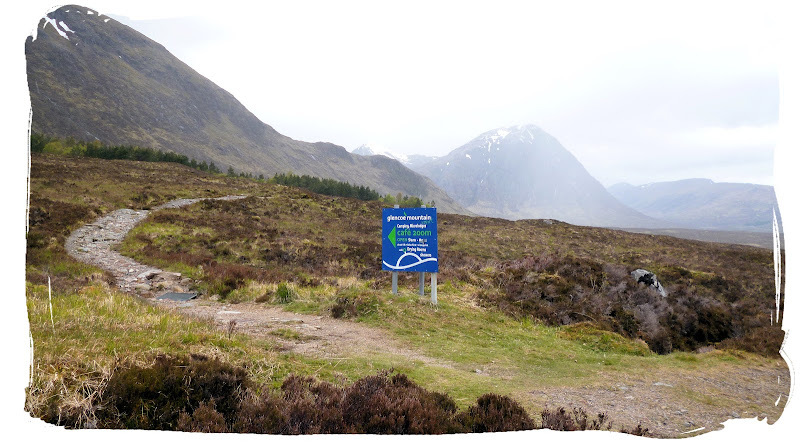 Brought back miserable memories of 5 days of walking the WHW (or as it felt at the time, 5 days of walking through a burn in a howling gale and torrential rain) followed by 4 days of brilliant weather on the GGW - by the time I got to Inverness I had dried out. 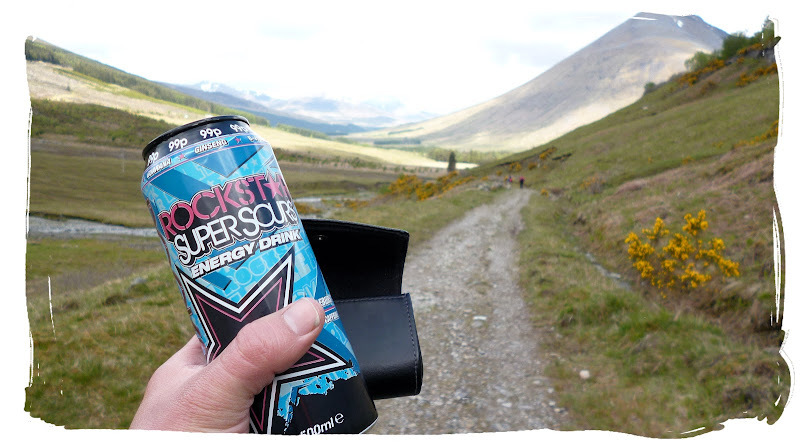 Looks like you got some mixed weather as well but it's just good to be out on these long distance walks and taking what comes your way. 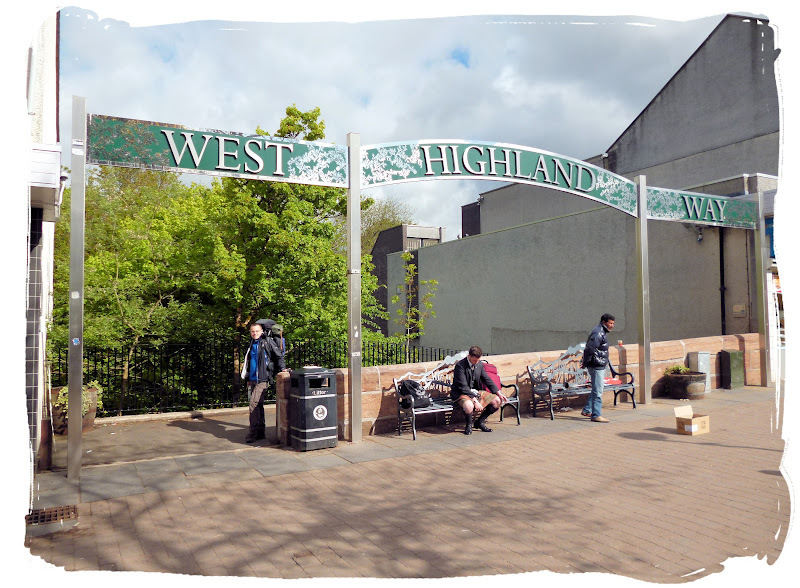 It's 2.5yrs now since I did the WHW/GGW, hadn't appreciated the changes on the GGW. 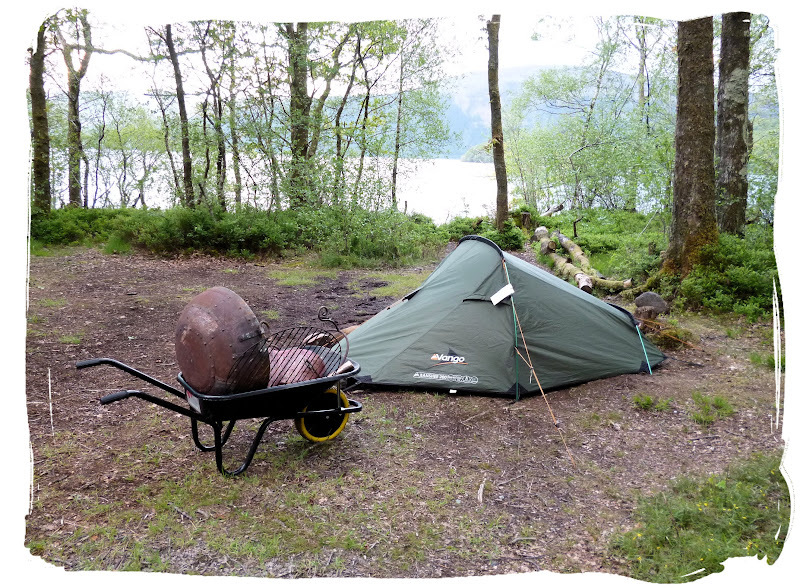 The wheelbarrow and fire pit was provided by the forestry commission at Sallochy Bay campsite. Really the warden should be transporting that for me since I had to pay £10+ £10 deposit but I guess they are always too busy with other duties. Sorry to hear you got unlucky with the weather during your trip I'd really hate 5 days of rain, I'd probably give up and go home.